I always loved those old barber shops, the wall decorations, the old wooden floor and sink, the huge leather chair etc.. Although I don't get much chance to been inside, as a girl I usually have to go to those beauty hair salon. 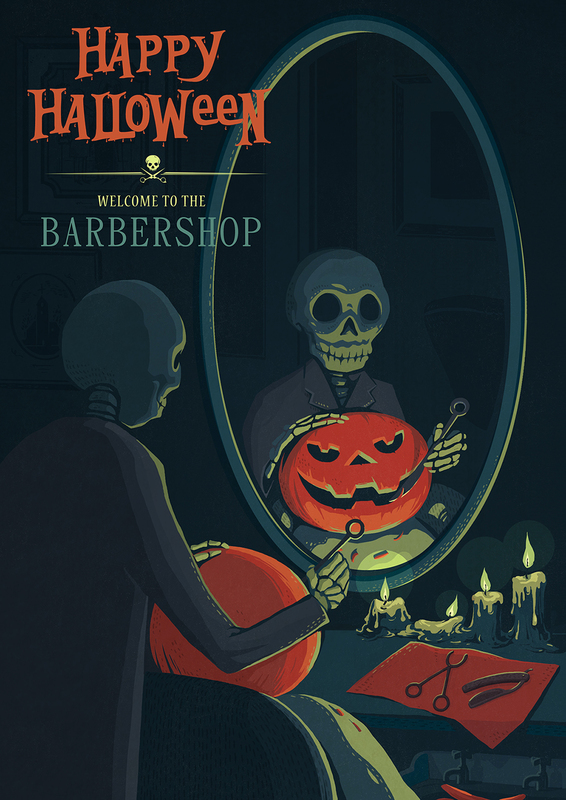 This Halloween theme illustration idea with a barber shop came to me from nowhere ,but turns out it kind of cool! The summer in England has almost gone, it was a good summer though, hot and sunny most of the time. Now comes the next thing to looking forward to : 120 days away from Christmas!